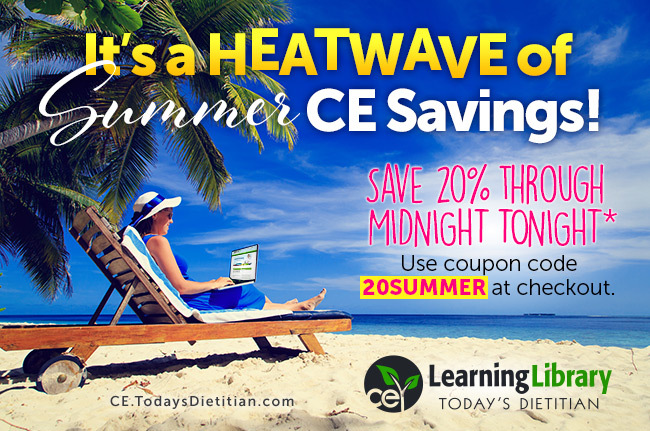 Use coupon code 20SUMMER to save on continuing education this month! Visit CE.TodaysDietitian.com for our full course and webinar catalog. *Does not apply to books or CE Club membership. *OFFER EXPIRES TODAY, July 31, 2017, at 11:59 PM EDT.